This exhibition at the Upper Belvedere focuses on the works of the Late Gothic painter Rueland Frueauf the Elder and his workshop. It has been organized to display the panels from Frueauf’s Salzburg altarpiece following the painstaking conservation work undertaken by the Belvedere. These works are at the heart of the exhibition about the generation of artists preceding Albrecht Dürer , who are so rarely placed in the spotlight . 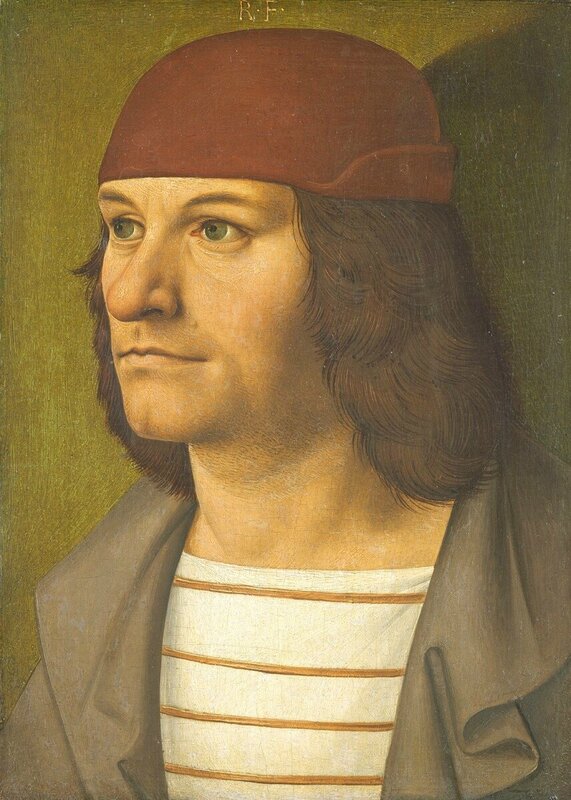 Rueland Frueauf the Elder was probably born around 1440/50. He first lived and worked in Salzburg and later on, from the 1480s, in Passau, where he completed the painting of the town hall, taking over from the official city painter. Frueauf the Elder, who died in Passau in 1507, can be regarded as one of the greatest Late Gothic painters in the German-speaking area. At the heart of the exhibition are eight altarpiece panels by the artist. These scenes from the Passion and the Life of the Virgin were painted in 1490/91, presumably for St. Peter’s Church in Salzburg, and they are the starting point for qu estions of attribution concerning the many works associated with the Frueauf circle. A further masterpiece by the artist in the Belvedere’s collection is the portrait of a man, whom recent discoveries in the archives have identified as the Passau-based painter Jobst Seyfrid. “For this exhibition, we were able to bring togethe r more works by the Frueauf group than have ever before be en shown at one place. This opens up new perspectives on these extremely valuable paintings that have long preoccupied art history scholars and interested museum visitors,” said Björn Blauensteiner, the curator of the exhibition. Besides the oeuvre of Frueauf the Elder, the exhibition also presents a selection of works by artists from his circle. These include several examples by the Master of Großgmain that are striking for their exquisite painting technique. Legend of Saint Leopold. This first juxtaposition of the younger Frueauf’s oeuvre with his father’s work means that both painters can be compared in detail and promises plenty of food for thought conc erning questions surrounding the Frueauf circle. “The combination of works by the Frueauf father and son offers Klosterneuburg Monastery the unique opportunity to re-evaluate major works f rom its own picture gallery and see them in a fresh light. I am delighted about this temporary ‘family reunion’ after over 500 years,” said Wolfgang Christian Huber, custodian of the art collections at Klosterneuburg Monastery. The Salzburg altarpiece panels showing scenes from the Passion and the Life of the Virgin are in the Belvedere’s collection and have been painstakingly conserved in recent years. What was different about this project was that it was partially carried out as a public restoration at the Upper Belvedere and was thus made accessible to visitors. One particular challenge for the conservators was that the panels, originally painted on both sides, had been separated in the 1920s and 1930s. For a long time, this was common practice in order to be able to present both sides of the panels at the same time. However, the paintings were left very fragile as a result. A major aim of this conservation project was therefore to improve the stability of the paintings and secure the layers of paint. A further objective was to respectfully draw out the beauty of Rueland Frueauf the Elder’s unique art. In addition to the eight paintings from the Salzbur g altarpiece, many other works from the Frueauf group were examined in preparation for the exhibition. The underdrawings hidden beneath layers of paint were brought to light using infrared reflectography, revealing original ideas that had actually been abandoned centuries ago. These paintings were also examined using X-rays and pigment analysis, ultraviolet light, raking light, and also under the microscope. The results are presented in the exhibition and published in the accompanying catalogue, the first monograph about Rueland Frueauf the Elder for over seventy years. The exhibition is curated by Björn Blauensteiner and has been organized in collaboration with Klosterneuburg Monastery.